For the treatment with fixed orthodontic appliances, small precisely designed metal or ceramic buttons, called brackets, are stuck to each tooth. The brackets are then connected to each other using a thin metal wire. The wires are adjusted at regular intervals to guide the teeth into the desired directions. Usually silver colored metal brackets are used. Less noticeable but also more expensive are tooth colored ceramic brackets or transparent sapphire brackets (ICE™). Brackets become completely invisible when they are fitted on the inner surface of the teeth (lingual brackets). Another alternative are the so called low friction brackets (Damon Q™), which allow a faster and more efficient teeth alignment. These brackets are also available in an esthetic, virtually invisible variant (Damon Clear™). Today, fixed braces can also be customized and adjusted to the needs of the patient (Insignia™) for an even more accurate and effective correction. Single teeth can be moved into the desired position without affecting other teeth through the use of the so-called orthodontic mini implants. The mini implants are placed into the jawbone and removed when the treatment has been completed. These implants provide a perfect ancorage for precise movements of your teeth, e.g. as a preparation for a scheduled crown, pontic or implant treatment, in close cooperation with the dentist. The need for combined orthodontic and surgical treatment occurs when the jaws do not line up correctly, and a proper bite cannot be achieved with orthodontic treatment alone. In these cases we will work together closely with an oral surgeon. The splint therapy of Invisalign© straightens your teeth using a series of removable aligners. The set of aligners is calculated precisely by a computer program so that wearing it progressively moves the teeth in the proper direction. Each aligner is worn about two to three weeks before being replaced by a new one. If you suffer from temporomandibular clicking, pain or other disorders we will perform a precise TMJ analysis to identify and treat the source of your problems. Removable Appliances are made from plastic and have wire springs. The patient can insert and remove the appliance himself. Whether or not the removable appliance is the right choice for you can be discussed during your visit. 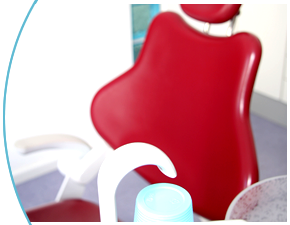 Within the framework of the orthodontic treatment we also offer regular professional dental cleanings. Amongst others, this prophylactic measure is an essential foundation for the prevention of tooth decalcification and dental cavities. We recommend professional cleanings especially for patients with fixed braces because cleaning is more difficult during this time. Additionally, the smooth surfaces of the teeth should be sealed before fixed braces are put on. Radiography is necessary for a proper treatment. In order to keep the radiation exposure as low as possible, we use modern digital x-ray equipment. Compared to the conventional x-ray procedure, this reduces the radiation exposure up to 90 %. Moreover, digital radiography is very eco-friendly.